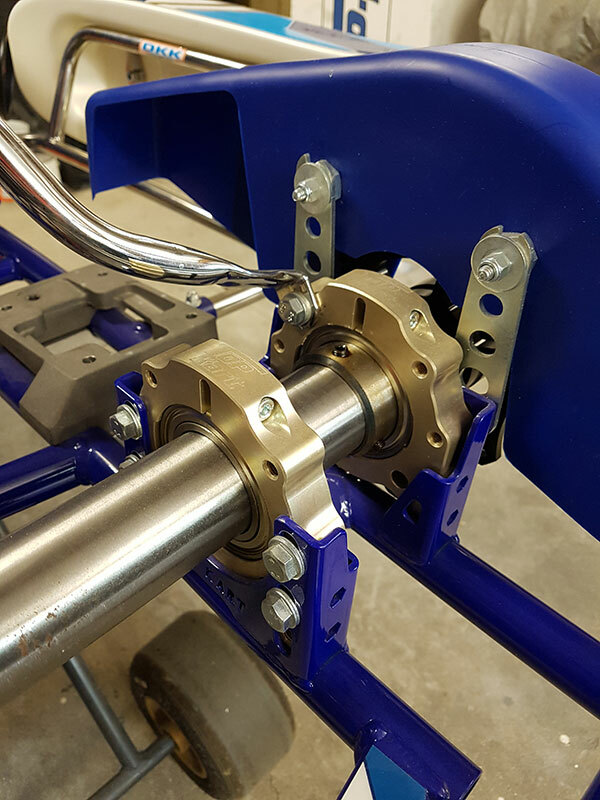 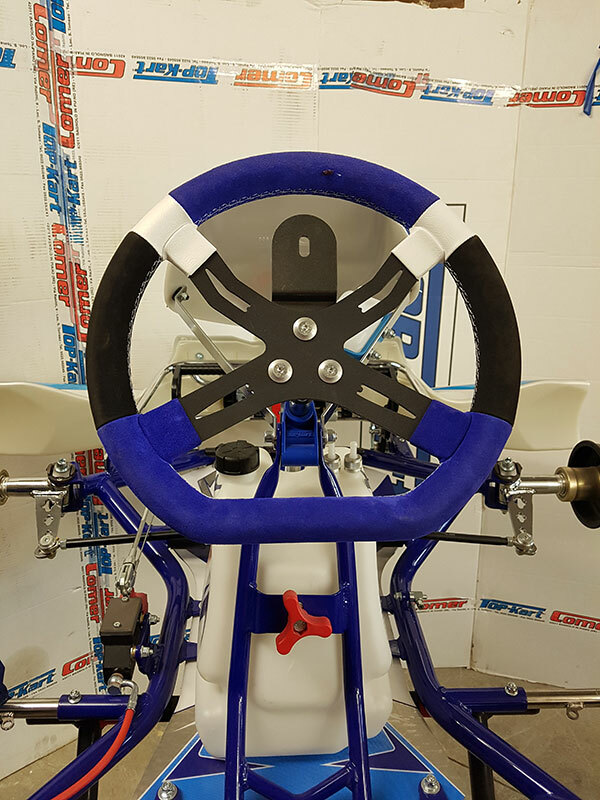 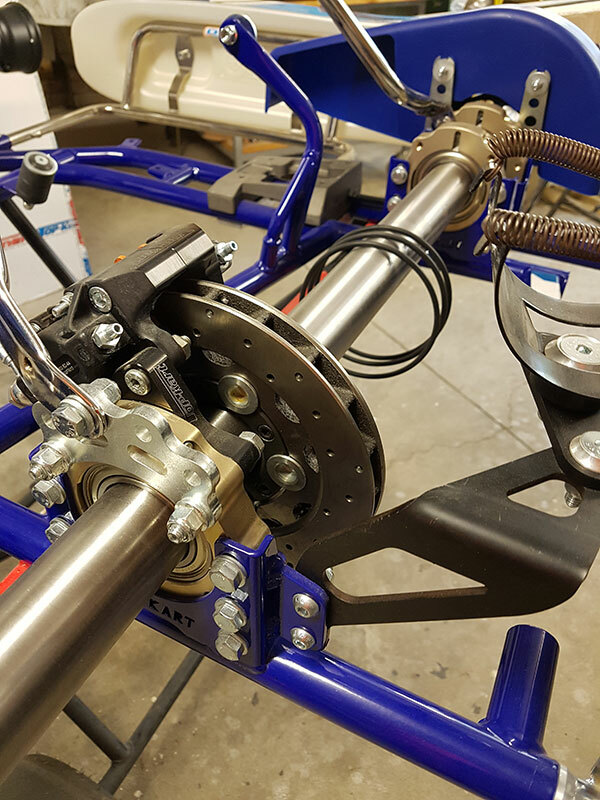 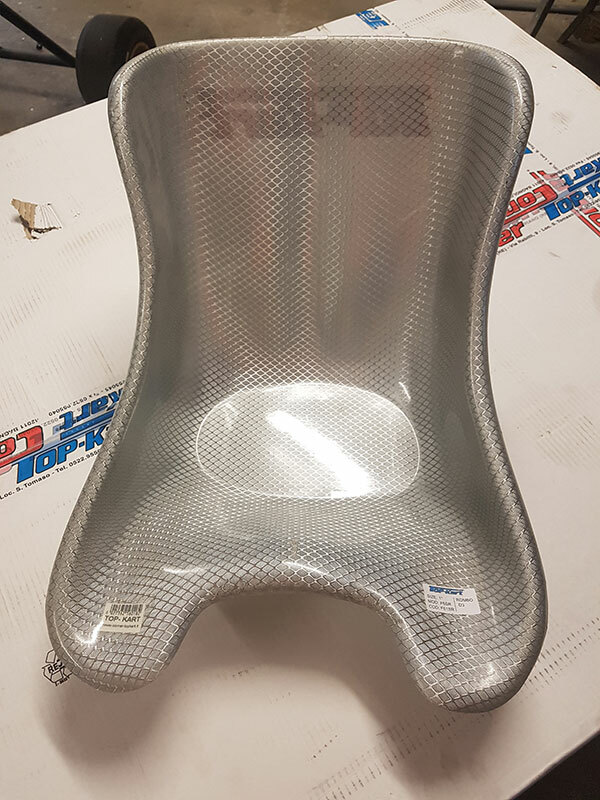 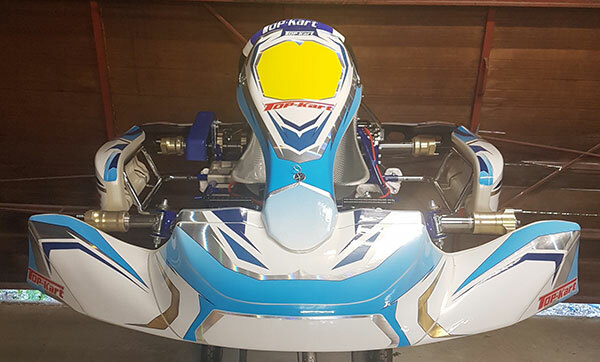 Top Kart Australia has stock of the 2019-spec Top Kart chassis for the TaG and KA classes – the Top Kart Dreamer (referred to as SR30.1 in USA). 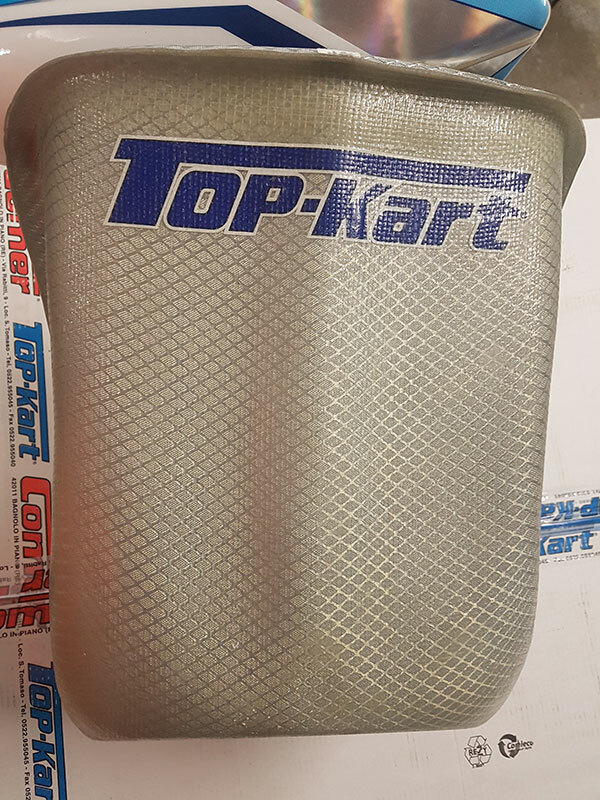 Anti-slosh waisted fuel tank. 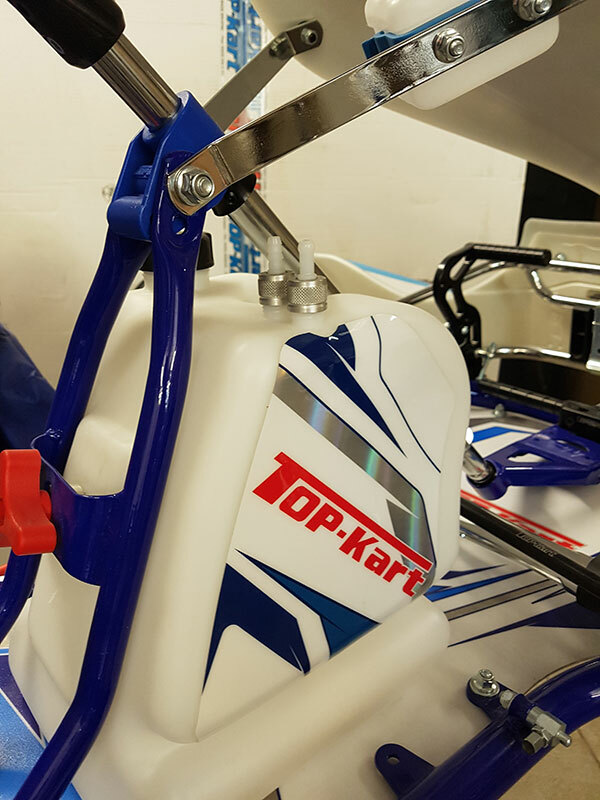 Note the adjustable throttle cable mount. 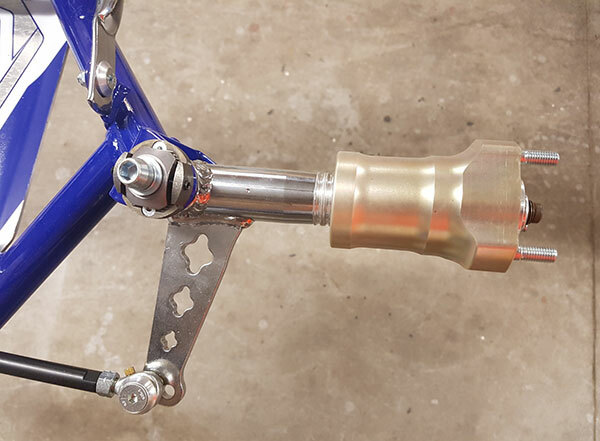 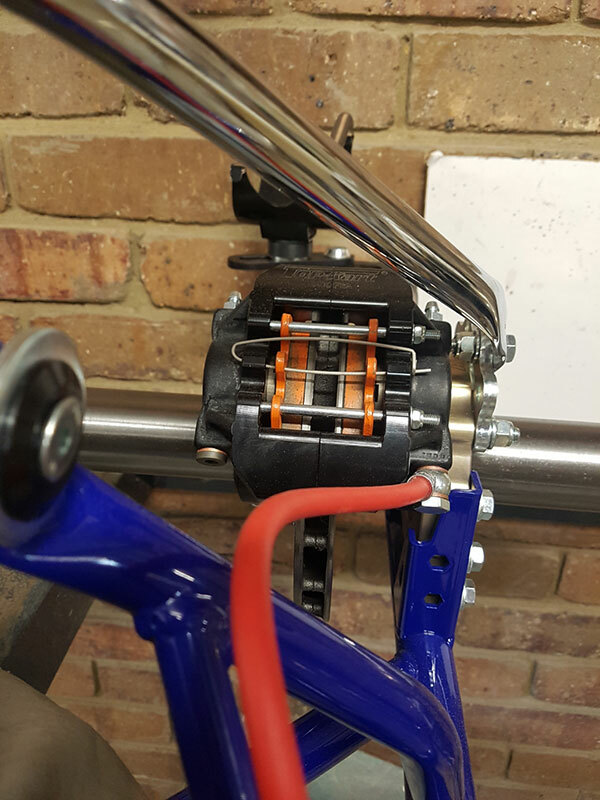 Rear brake detail (with floating disc) plus exhaust bracket. 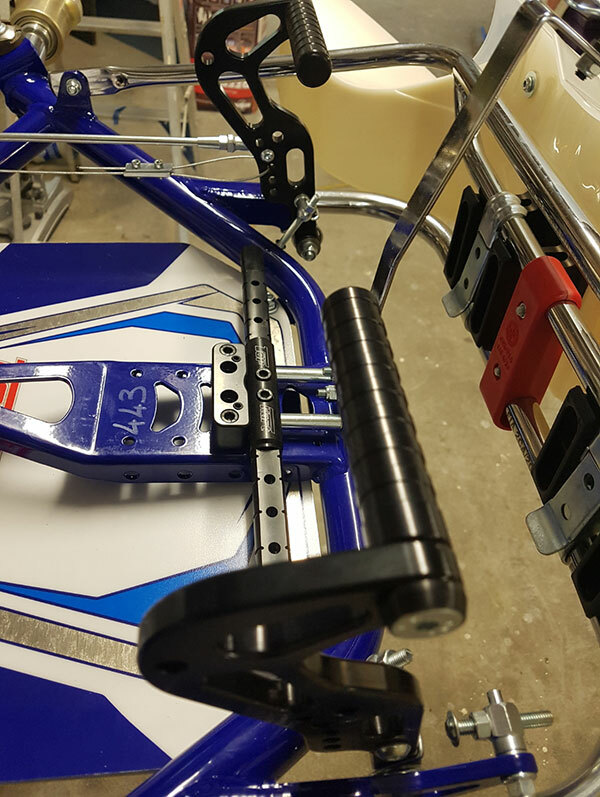 Note the seat stay mounting plate with slotted holes.